Create homemade cakes, quick breads and more in the Farberware nonstick bakeware 2-Piece bread and meat loaf pan set. Farberware has provided more than a century of reliability, value, and performance to generations of home bakers, and upholds that tradition with every piece of sturdy and dependable bakeware. Use these loaf pans for a delicious meatloaf dinner during the week and make a second one for keeping and freezing. The pans are perfect for pound cakes, wonderful for walnut breads, delicious for yeast breads, and more. Boasting heavy-duty construction, the durable baking pans resist warping and heat evenly to Brown beautifully and help reduce hot spots that can burn baked goods. Nonstick inside and out delivers great food release with quick cleanup. 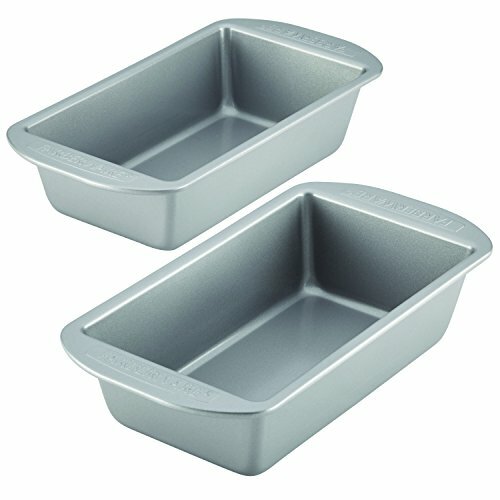 Oven safe to 450°f, these loaf pans make an ideal addition to bakeware sets and pans, fluted molds, and other specialty baking pieces in the Farberware bakeware collection. Enjoy the aroma of freshly baked quick breads and savory foods baked at home using the Farberware nonstick bakeware 2-Piece loaf pan set.